electrical Archives - Page 2 of 14 - Charles Buell Inspections Inc. 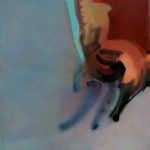 Sometimes stories can be better told with pictures than with words. 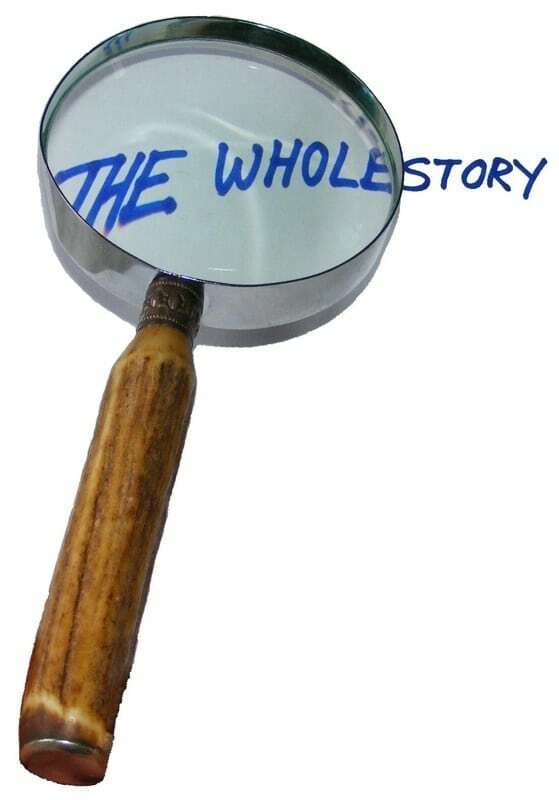 Since it is difficult to “see” electricity, it seems only appropriate that this circuitous story be told with pictures. 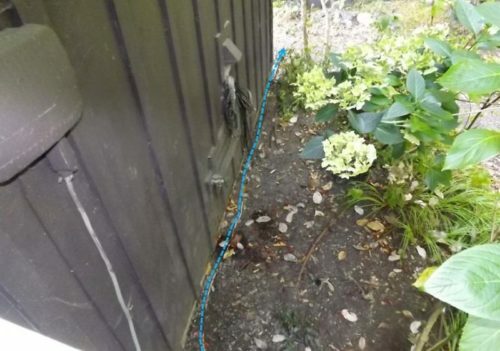 As you follow the dotted blue lines, you will get a sense of just what can be accomplished with several extension cords in an effort to light up a storage shed. None of these cords are rated for permanent installation. 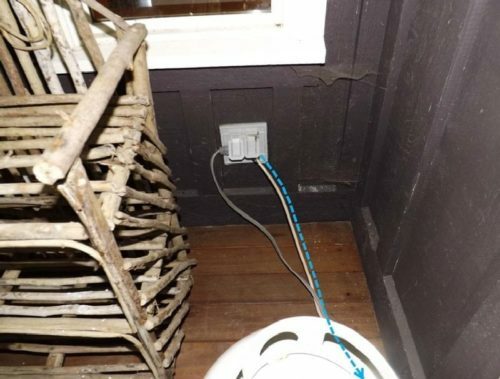 None of these cords are rated for outdoor use—let alone being buried underground. 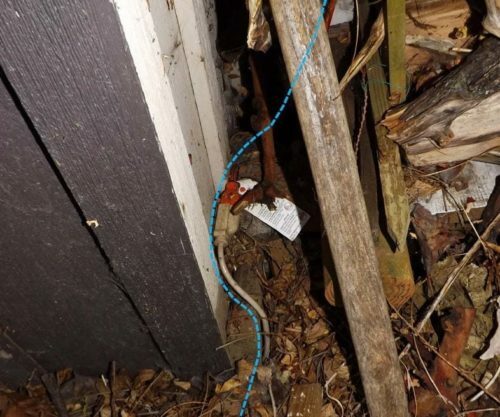 Because extension cords used in such a fashion do not fail immediately, a false sense of security can be created while failure is brewing underground or over time due to exposure conditions. 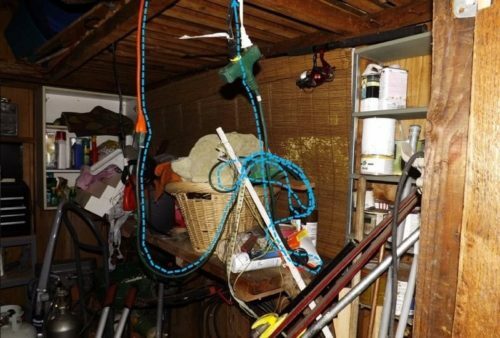 But never fear—you will at least be able to see what you are doing in the shed. 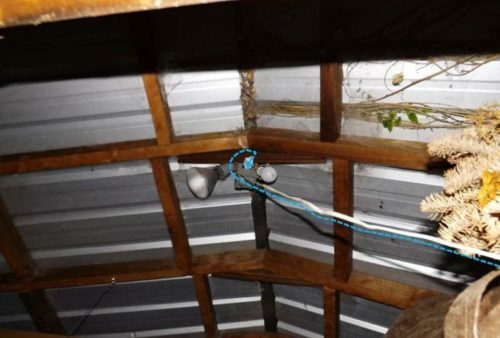 At last it reaches the light at the top of the shed—and the light works too! I could stand photo enhancement to look better too! At the time of inspection the house was 67 years old. It had me beat by two years, which is not all that much when you get to be that old. The thing about houses is that they generally don’t improve with age–especially the electrical components. 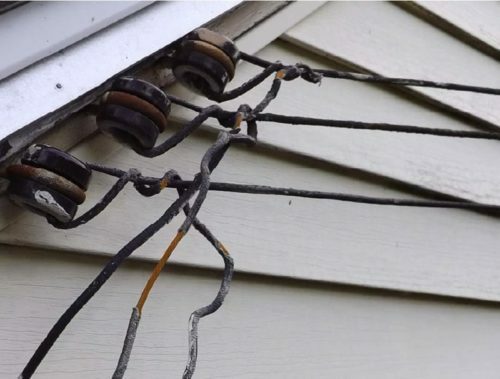 Most houses from 1945 would typically have three separate wires running to the house. 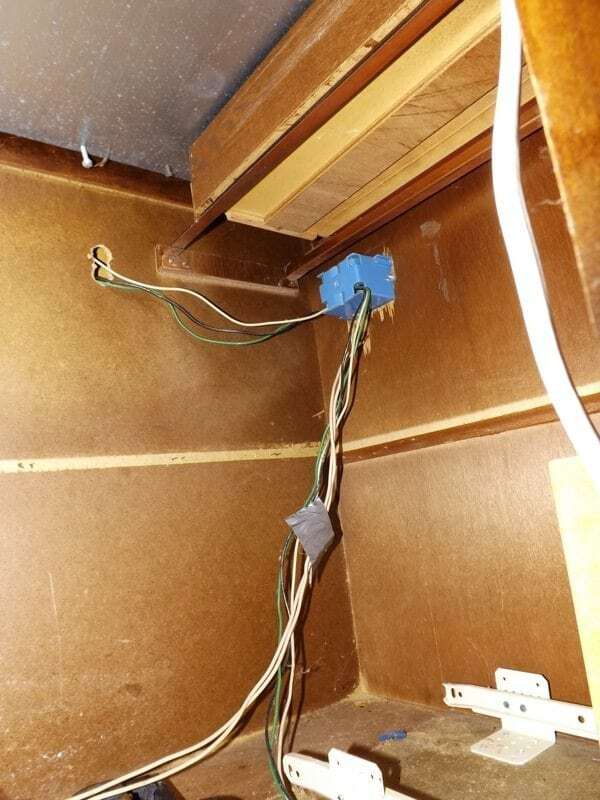 An inspector–walking around the exterior of the home–would note this and expect to see either an old fused electrical service or possibly an upgraded service panel without the entire electrical service being upgraded. Upgrading just the service panel is not typically a problem as most of these older services had wire sizes sufficient to support a 100 amp service. 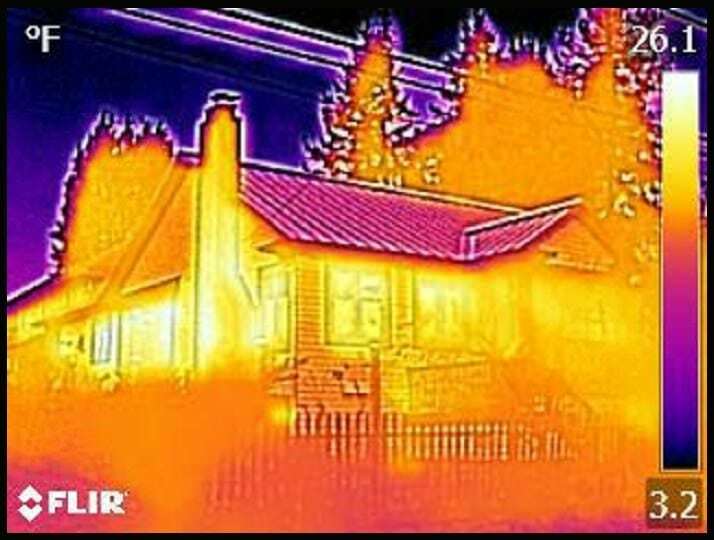 Generally speaking, a 100 amp service is adequate for many houses that have all gas appliances–even fairly large homes. The problem is more one of whether the panel has enough spaces for all the necessary circuits, not that one would ever use all 100amps. It is pretty much assumed that no one is ever going to fully load every circuit in the home. It is for that reason that one would never add up the amperage of all the breakers and expect it to be less than 100amps. The total of the amperage of all the breakers in almost any panel is likely to add up to more than the main disconnect rating. The point of this post is the old wires—and hopefully they are closer to the end of their expected life than I am to mine. 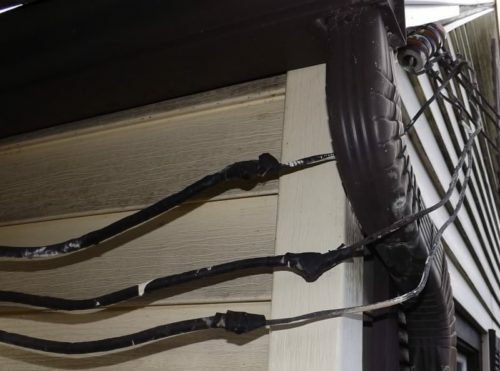 It is not uncommon to see frayed and disintegrating wires running to the house, so when these wires wrap around metal components, such as downspouts, I get concerned that it might be possible for them to energize the gutters. This could be a serious problem for anyone setting an aluminum ladder against the gutters. Most homeowners will be OK because they only have one home to climb up on. 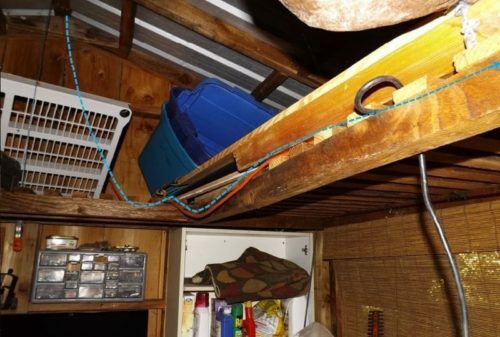 But for home inspectors, that have to get up on the roofs of many houses a week, it is a dang good idea to not even own an aluminum ladder–aka ground rod. 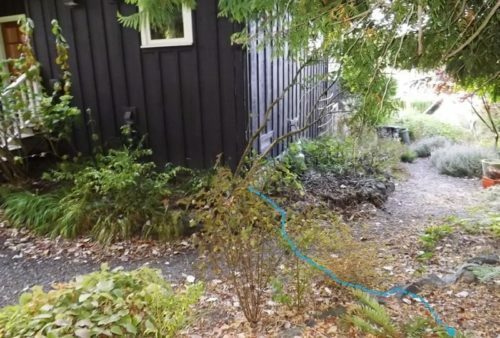 When I saw the wiring run to this house, and how it wrapped around the gutter, I was thankful for this knowledge. 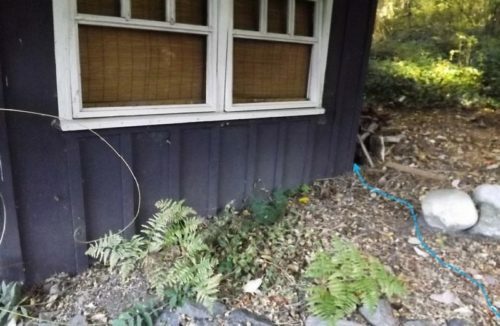 As you can see in this second photo, where I have photo enhanced the bare parts, it would not take much to get this downspout and its attached gutter energized. In the first picture, if you look closely, you can find a little whit spot where the wire had arced in the past. It is time for an electrical service upgrade. If only electricity knew the rules! 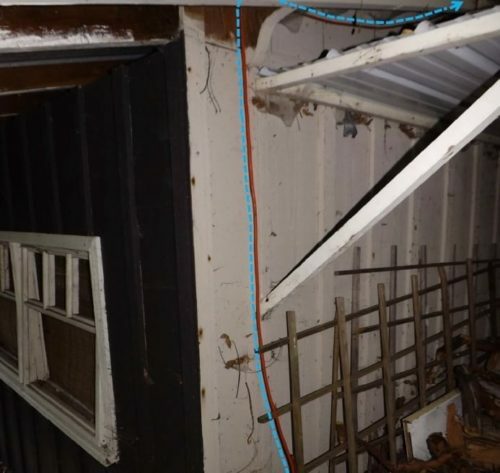 “Subject to mechanical damage” is a phrase that gets used a lot in home inspection reports. 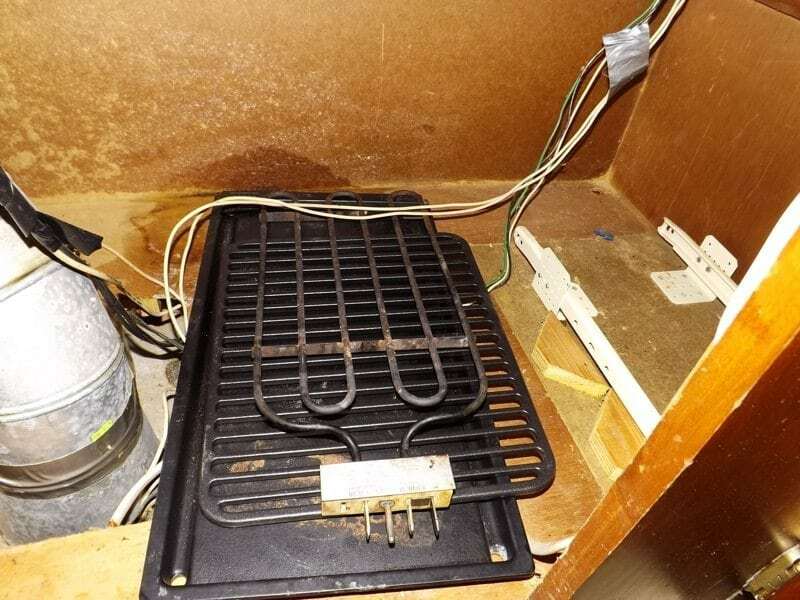 While true of lots of things, like cars being able to run into furnaces and water heaters in the garage, it is especially common with electrical installations. All wiring must be appropriately protected from damage and there are numerous clearance requirements to further protect wiring from damage. Whether it is NM (non-metallic-sheathed cable) wiring–commonly called “romex”–or single strand wiring sheathed in metal or plastic conduit, the conductors are protected for the use they are intended. When not used as intended, additional protection may be required. For example NM wiring can be used in lots of places in the home and is generally protected by being installed in wall cavities or in attics where it isn’t really accessible. When it is used where it might get damaged it must be either given additional protected or is prohibited for use in those areas. So now that we are all on the same page as far as the importance of the individual conductors being appropriately protected, we can discuss the installation in the following pictures. While in the first picture, mechanical damage of the wiring “might” not happen, I think the second picture clearly shows that mechanical damage “will” happen and “is” happening. Once again, it makes one wish that when wiring was wrong it would just not function. Unfortunately, electricity does not know the “rules.” But, it does continue to play by its own rules very well.